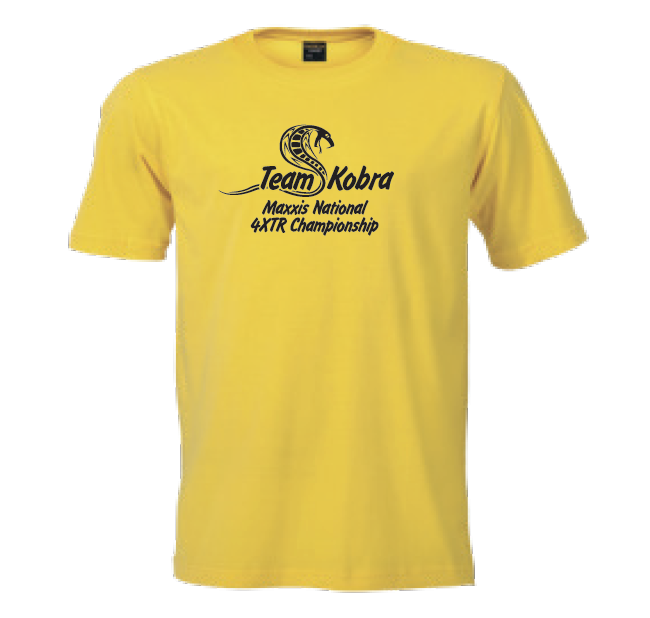 We are printing a batch of special Team Kobra T-shirts to order, see the picture below of what it will look like. We sell them at our cost which is only R125 each all included. If you want to order some for yourself (and your family! ), please send me the sizes and quantities. We plan to have these done before the next 4XTR event at Wesvaal near Fochville on 11 April and we hope to see a sea of yellow out there!